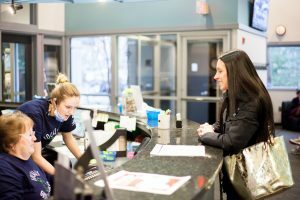 At Dr. Kenneth Grabowski Orthodontics, two-phase orthodontic treatment is a very specialized process that encompasses tooth straightening and physical, facial changes. This approach maximizes the opportunity to accomplish an ideal, healthy, functional, and aesthetically pleasing result that will remain stable throughout your life. Waiting for complete eruption of permanent teeth and having only one phase of treatment limits the options of care and can reduce their effectiveness over time. For example, someone with a jaw discrepancy may face the possibility of a compromised result that may not be stable long-term. The goal of first phase treatment is to develop the jaw size in order to accommodate all the permanent teeth and to relate the upper and lower jaws to each other. Children sometimes exhibit early signs of jaw problems. 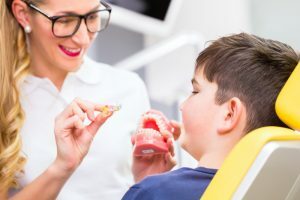 Children can benefit enormously from an early phase of orthodontic treatment utilizing appliances that direct the growth relationship of the upper and lower jaws. Seeking early phase treatment establishes a good foundation and can provide adequate room for eruption of all permanent teeth. This early correction may prevent later removal of permanent teeth to correct overcrowding and/or surgical procedures to align the upper and lower jaws. Leaving such a condition untreated until all permanent teeth erupt could result in a jaw discrepancy too severe to achieve an ideal result with braces. In the holding phase, the remaining permanent teeth are allowed to erupt. It is best to allow the existing permanent teeth some freedom of movement while final eruption of teeth occurs. A successful first phase aims to create room for teeth to find an eruption path. Otherwise, they may become impacted or severely displaced. It is important to monitor progress at the end of the first phase of treatment as teeth are not in their final positions yet. This will be determined and accomplished in the second phase of treatment. Selective removal of certain primary (baby) teeth may be in the best interest of enhancing eruption during this resting phase. Therefore, periodic recall appointments for observation are necessary. The final positions of teeth will be determined and accomplished in the second phase of treatment. The goal of the second phase is to make sure each tooth has an exact location in the mouth where it is in harmony with the lips, cheeks, tongue, and other teeth. When this equilibrium is established, the teeth will function together properly. At the beginning of the first phase, orthodontic records were taken and a diagnosis and treatment plan established. Certain types of appliances were used in the first phase, as dictated by the problem. 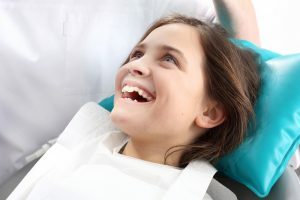 The second phase is initiated when all permanent teeth have erupted, and usually requires braces on all the teeth for an average of 18-24 months. Retainers are worn after this phase to ensure you retain your beautiful smile. Ready to take the first step on your orthodontic journey? Request an appointment today with the Grabowski team!